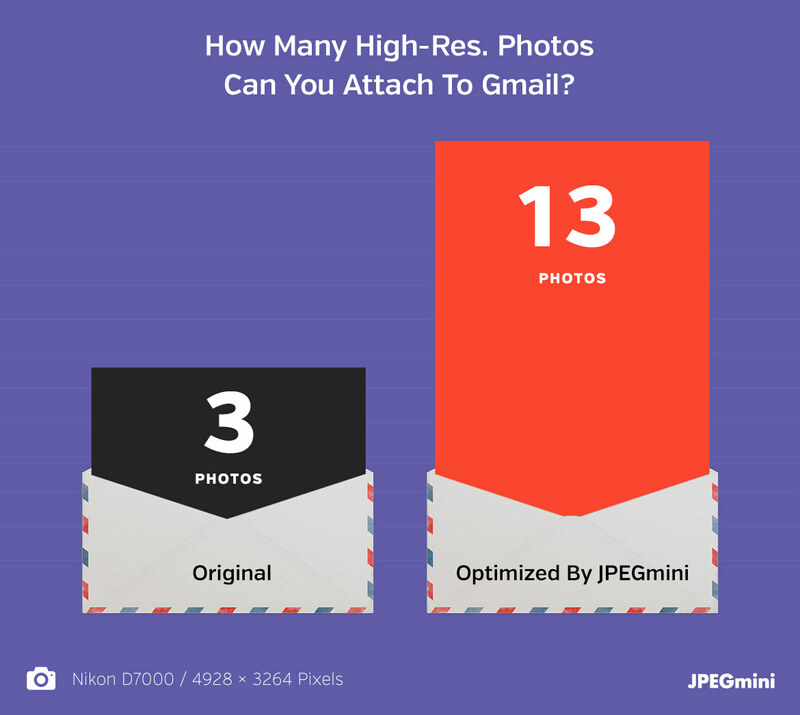 How can JPEGmini help you send more pictures in each email message? That’s the question we asked ourselves so we decided to do a little test. 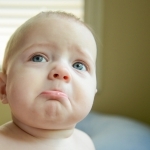 We had enough of seeing an error message pop-up whenever we tried to send more than a few pictures. We took this matter into our own hands, and here is our journey. Our journey begins with our tool of choice for this test, a Nikon D7000. We started snapping photos, like we do every day, and exported them to our hard drive. Here is where the test begins. We opened up Gmail and inserted a few photos. To our surprise, we could only fit three photos in the email. You’ve got to be kidding me? We can only attach three photos to the email? Sure, there are other options. 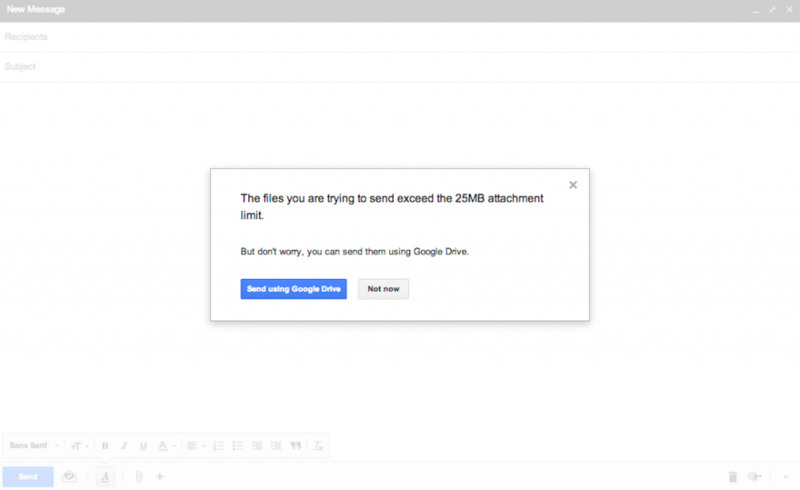 You can send a link inside the email that links to the cloud, but why should there be extra steps for the recipient? 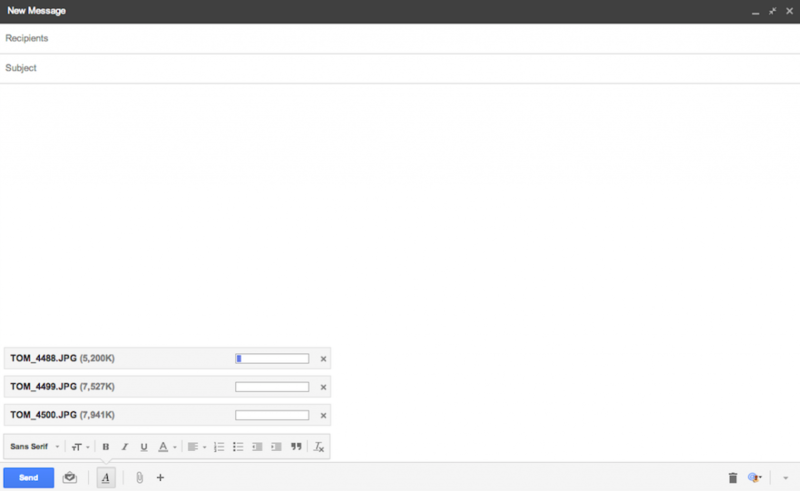 We want to maximize the email while minimizing the time spent sending and receiving the email. So, we came up with an idea. 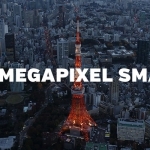 What if we shrink the size of the photos, without losing any image quality, using JPEGmini. How many photos could we fit in the email then? Once we optimized our photos, we went back to Gmail and were shocked to see the results. Remember, initially we were only allowed to put in three pictures. Let’s check out how many pictures were were able to fit into Gmail once we optimized the photos. We were able to put 13 pictures in the email! That’s just a bit over four times the amount we were initially allowed. So instead of sending 13 photos in four or five separate emails, we can send 13 full resolution photos in a single email! And you know what the real kicker is? The time it took us to upload 13 pictures versus the time it took us to upload three pictures. 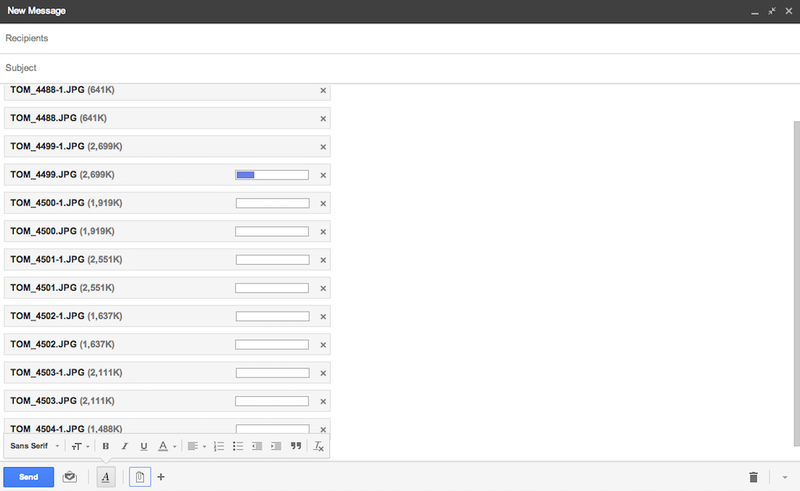 In summation, using JPEGmini helps maximize the 25Mb total size of an email when sending pictures. We were able to go from three full resolution photos in the email to 13. 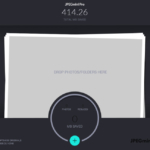 Not only did we maximize the amount of pictures we were able to put in the email, but we minimized our workload by saving time using JPEGmini to optimize the pictures.